Mischievous little buggers. I've lost several pairs of underwear to them. 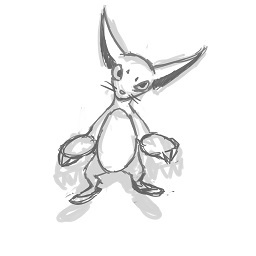 Grunsel, the Weasel tuxemon, is a Earth-type monster.